WASHINGTON, DC, April 17, 2015 (ENS) – For the first time, chief executives of major oil companies joined today with senior government officials from oil-producing countries in an agreement to end the practice of routine gas flaring at oil production sites by 2030 at the latest. The Zero Routine Flaring by 2030 global initiative – already endorsed by nine countries, 10 oil companies and six development institutions – was launched today by United Nations Secretary-General Ban Ki-moon and World Bank Group President Jim Yong Kim. They were joined by Royal Dutch Shell Chairman Jorma Ollila; Statoil CEO Eldar Saetre; Norwegian Foreign Minister Børge Brende; Gabonese Minister of Petroleum Etienne Dieudonne Ngoubou; other senior government and corporate officials, and representatives of international development banks. The endorsers collectively represent more than 40 percent of global gas flaring. Flaring of natural gas around the world is harming the environment and wasting a precious source of energy, which could instead be used in productive ways like providing millions of people with electricity. Every year, around 140 billion cubic meters of natural gas produced together with oil is wastefully burned or “flared” at thousands of oil fields around the world. This results in more than 300 million tons of CO2 being emitted to the atmosphere – equivalent to emissions from approximately 77 million cars. If this amount of associated gas were used for power generation, it could provide more electricity (750bn kWh) than the entire African continent is consuming today. But currently, the gas is flared for a variety of technical, regulatory, and economic reasons, or because its use is not given high priority. By endorsing the initiative, governments, oil companies and development institutions recognize that routine gas flaring is unsustainable from a resource management and environmental perspective and agree to cooperate to eliminate ongoing routine flaring as soon as possible and no later than 2030. They will publicly report their flaring and progress towards the target on an annual basis. 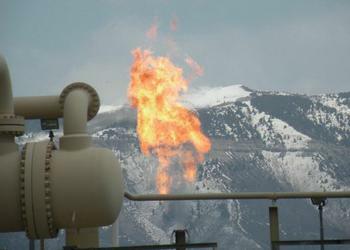 They agreed that routine flaring will not take place in new oil fields developments. Governments will provide an operating environment conducive to investments and to the development of functioning energy markets. Michel Sapin, France’s Minister of Finance and Public Accounts, said the initiative is important ahead of the upcoming COP 21 climate change summit that France will host in December. “France is proud to support the “Zero routine flaring by 2030” Initiative, which will allow to significantly reduce greenhouse gas emissions from the oil and gas sector. France, as future COP 21 presidency, encourages new partners to support this initiative, part of the broader action agenda that will be key in building momentum towards the Paris conference. Kim said the World Bank has been active on this issue for 15 years, as a founding member of the Global Gas Flaring Reduction Partnership. The Bank works with its partners in GGFR and the United Nations Sustainable Energy for All initiative to increase the use of associated gas by helping remove the technical and regulatory barriers to flaring reduction.